March through early May is a great time to get out there and prune your shrubs and trees. Without foliage, the structure of the plant is clearly visible, making it easier to plan how you would like to direct growth. 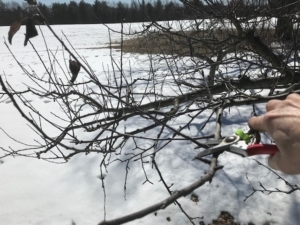 The worst of winter is past, and your plants will easily seal the pruning wounds when active growth begins. Additionally, pruning in early spring allows you to avoid opening the plant to some diseases and pests that are active in warmer seasons. 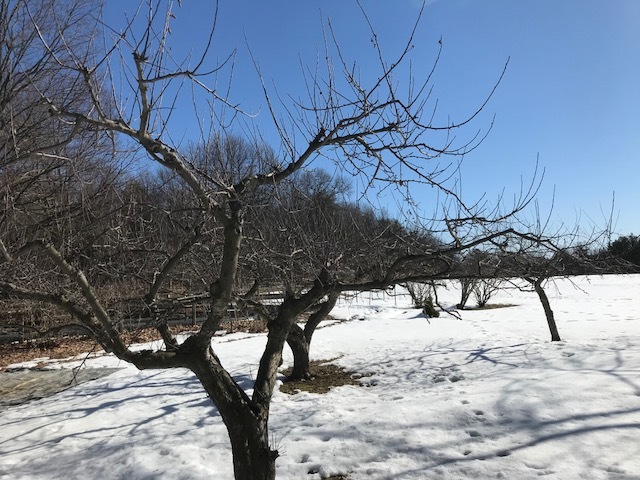 What plants and trees are good candidates for early spring pruning? Old, overgrown shrubs can be rejuvenated by cutting one-third of the old growth down to the base in early spring. Remove large branches with scraggly growth. Continue this process for three spring seasons, each time removing the oldest growth. This allows you to still have some bloom on the older portions each year, while the new, healthy growth is maturing. Start in March or before the flowers open. Prune branches that are growing straight up. Prune just above a node or leaf junction. Prune your tree so a crow can fly through it. That is the goal for best air flow and fruiting. Come fall, you will enjoy the benefits of pruning, as you will have great fruit production! 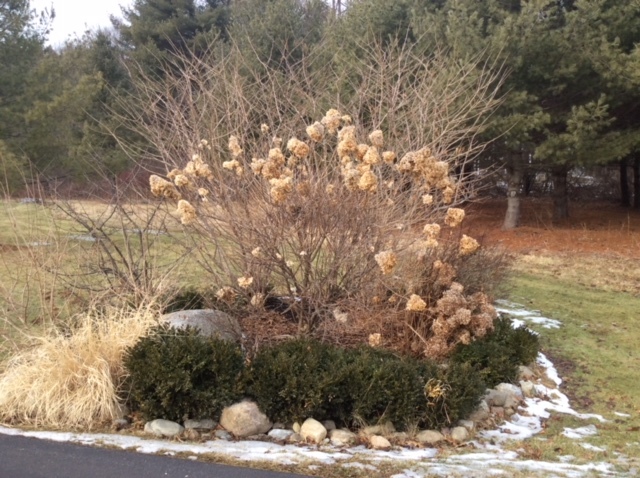 In northern climates like Saratoga Springs, NY, mop headed hydrangeas may or may not bloom on old wood. Prune to shape about 2’ tall in early spring or late fall. Prune just above a node or leaf junction; this encourages lateral branching. New growth will also come from the base, hiding any dead branches through the season. For Endless Summer® or Nikko Blue hydrangea, add sulphur to acidify soil (turning flowers blue) or add lime (to turn the flowers pink).